London is an amazing city to live in. Finding the right flat or house to rent – at the right budget - can mean the difference between enjoying life and just getting by. 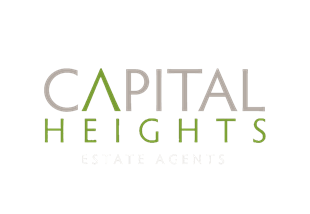 At Capital Heights, we have a wide range of properties coming on to the market every week. Our friendly agents will take the time to listen to exactly what you need, so we can help find a new home that’s right for you. We know our areas inside out, and love sharing our local knowledge. Choosing Capital Heights means you’ll be the first to get called when your ideal property comes on to the market. Sometimes we can even let our registered clients know about a property before it’s officially listed – this means you’ll be first in line with the chance to secure your top-choice home. As a small, independent agency, we pride ourselves on our customer service. We treat our tenants as people – you’ll never feel like we’re valuing the landlord more than we do you. Our highly qualified agents will make sure you know the full process at every point. Check out our Step by Step Guide to Renting to find out more about how we can help you find your new home. We also offer property management services to our landlords, so you can be assured that if your property is one of the many that are managed by us, we’ll be on hand to answer any questions you may have throughout your tenancy.